Frik du Preez was named South Africa’s rugby player of the twentieth century by the country’s passionate fans of the game. Frik du Preez was named South Africa’s rugby player of the twentieth century by the country’s passionate fans of the game. Given that he retired from rugby in 1971, it was a significant expression of the esteem he continues to be held in. In many ways the vote extended beyond Du Preez’s performances on the field, also taking into account his charisma and influence on those around him. At a time when South African rugby was riven by provincial rivalry, the Northern Transvaal star was popular all the way from Pretoria to Cape Town – home of the Blue Bulls’ traditional rivals, Western Province – and at rugby grounds all around the world. “South African rugby is what it is, namely an inspiration for everyone in our country that is interested in the game, and a source of wonder for those people beyond our borders. 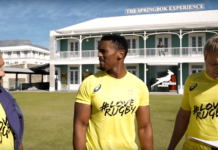 One of the most important factors responsible for this is the fact that throughout the history of Springbok rugby there have been great players and great personalities. We are grateful for such people, thankful that they, like guides, have given us direction along our rugby road. Du Preez had excellent all-round skills, in fact, remarkable skills for a big man. Although he was not particularly tall, he was a tower of strength in the lineout. In addition, he had a fantastic turn of speed and fine running skills with ball in hand, as he showed in the try he scored against the British Lions in 1968. Peeling around the front of the lineout from his position in the middle of the two opposing lines, he snared the pass near the touchline and then took off for the try line as if propelled by a turbo booster. His hair bounced wildly as he raced for the line, and after a beautifully executed shimmy, he dived over to score a classic try from all of 40 metres out. Du Preez’s skills extended to kicking – punt, drop or place kick, Frik could do it. 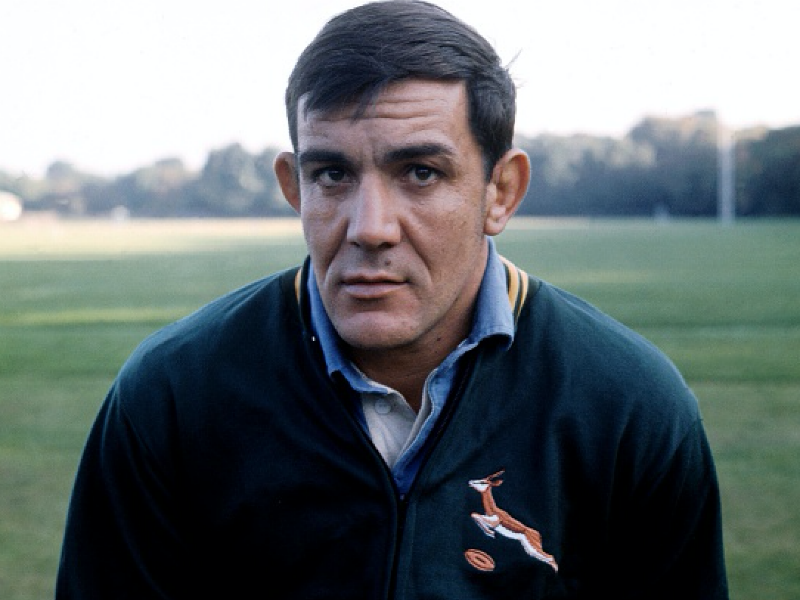 For many years he held the Springbok record, along with the brilliant loose-forward Jan Ellis, for the most test matches played for South Africa, with 38 appearances. This was long before the advent of the global village; teams played far fewer tests and there was no annual competition for southern hemisphere rugby teams. A fairer reflection of Du Preez’s career at the top would be to note that he played in the green and gold for over 10 years, making his debut in January 1961 against England and playing his last match for the Boks in August 1971 against Australia. In total, he played in 87 games for South Africa, scoring 87 points. 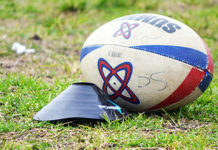 At a banquet to honour Du Preez as Rugby Player of the Century, former Springbok coach Andre Markgraaff told the assembled rugby lovers that it was a pity the Northern Transvaal stalwart could not play the game in the modern professional era: Du Preez, he said, would have shown people what humility was about. His standing in rugby is not limited to the South African stage. 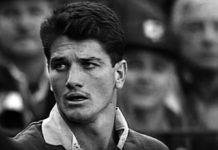 When the Rugby Hall of Fame came into being in 1997, Frik du Preez and Danie Craven were the only South Africans to be voted into it. Judge a man by the company he keeps: among the other players to enter the Hall that year were Gareth Edwards, Colin Meads, Hugo Porta, JPR Williams, Mike Gibson and Willie John McBride.